I could hardly wait to share this fabulous freebie with you! Because if you’ve been around here long, you know how much I love writing prayers and how much I believe that writing out our prayers draws us closer to the Lord. 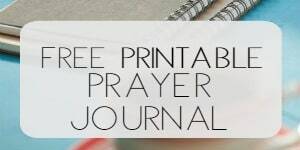 Prayer journals are my favorite for so many reasons and books of prayers follow closely behind them. I share written prayers because there are times when one of the hardest things about prayer is just figuring out what to say. Sometimes praying a written prayer out loud to God allows my mind to focus on the meaning and not which words to use. Don’t misunderstand now. God longs to hear from us no matter our choice of words. But the word choice is more for our concentration and focus. Using a written prayer allows our hearts to center on God, not our own limitations. 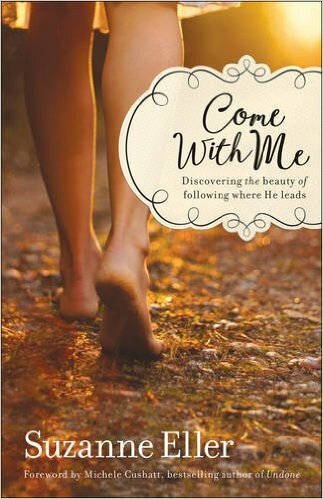 My friend, Suzie Eller, has written a beautiful book, Come With Me: Discovering the beauty of where he leads. Not long ago, I mentioned how many emails I receive with requests for understanding how to follow through on what you believe God has called you to do. So many times, we have our “if only” and often we forget that staying close to Jesus is the very best thing we can do in order to gain more insight for the next step. 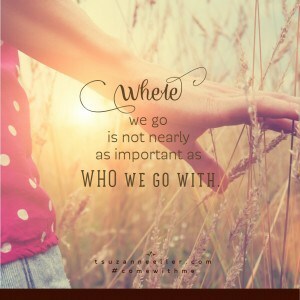 Come With Me is a gorgeous invitation not only to follow Jesus, but wherever He leads. 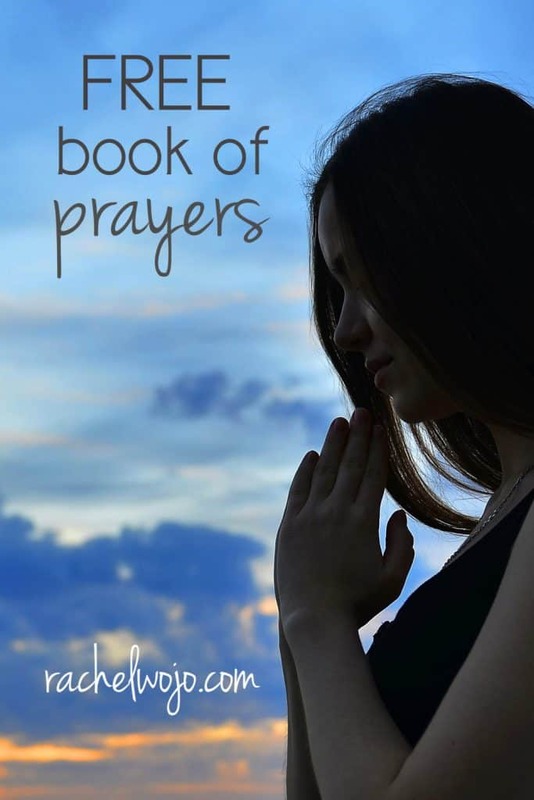 Suzie is offering a beautiful FREE book of prayers that I printed out and have been using to focus my prayer thoughts. Verbalizing our prayers to God is an exercise that helps us acknowledge his presence as if we were talking to another person in the room. He is with us and hears our thought prayers. But oh, how wonderful to give him the gift of our voices alongside our hearts!! 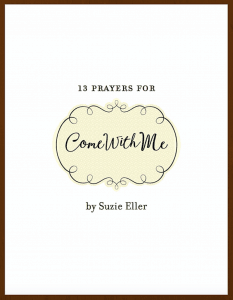 You can find the Come With Me book of prayers here or by clicking on the graphic below. What obstacle has held you back from following Jesus as closely as you intend? My assistant (aka 12 year old daughter) will choose 2 random winners on Monday, June 13, 2016 at 9 am EST. AND THE WINNERS ARE: mollie & Rochelle Wingo. Check your email!! I have PTSD/ depression….coping with that hasn’t been an easy road as a matter of fact it has been a rocky road! 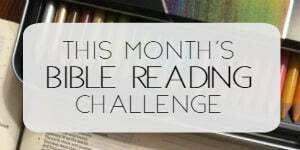 I started Journaling and online bible study and have decided that I can give it all to God and he will lighten my load….praying for others as well as myself has lead me to understand my problem. Not setting aside the time to read and pray. All my adult life I have prayed to see a mighty move of God that no man can claim he has done…I have suffered and now I watch my 5 children suffer and my heart is broken, my faith..I don’t even know if I have faith which has caused me to doubt God loves me for I feel abandoned and so lost. If I had faith maybe my life wouldn’t be a tragedy.. I was just skimming through the comments here and I felt I had to respond to yours. I am so sorry that you feel your life is a tragedy. I am sure you have your reasons for feeling that way, but I hope you will soon find hope and meaning, even in your suffering. It is easier to say than to live out, but I do believe that God can and does use suffering for a greater purpose, and He not only wants to work through you for others, but in you, for your sake, as well. I have found it very helpful to ask Him to show me what He is teaching me through my hard times; it helps me to think that I am being prepared to help someone else through a similar trial some day. Also, the way that you respond to God and others while you suffer can speak volumes and be very powerful for God’s glory. I am praying for you as I write, and I hope that you find comfort and soon see your breakthrough. His strength is made complete in our weakness — if that has become a worn out quote for you, may it be refreshed and renewed for you today, along with a sense of God’s love and presence in your life. He sees you!!! My biggest obstacle is myself. I don’t really know if I’m understanding what God wants me to do because I don’t feel worthy of His attention even though He gives me His attention & His love continually. Fear…… even though we are told again and again to “fear not” . I’m a work in progress. Allowing the voice of the enemy to drown out the voice of God as He reminded me of His promises and love for me. After suffering a long bout of chronic migraines, I find it difficult to leave my house to get out and volunteer like I used to do. Being diagnosed with an incurable, terminal disease made me run away from God. I was mad, disappointed, and confused. How could a God who loved me do this not to me but to my children. Being a single mother, the life my children would have to endure because my illness scared me. Praying for you Kristyna. I know how sometimes we feel abandoned by God. It takes our strong faith in him, and trusting him that whatever is happening now… He is using this situation for something better for you. We don’t know why things like this happen to us, but he does. Stay strong! Me, myself, and I! I’m my own worst enemy! Taking time to be in relationship with him and prioritizing other things instead. Until recently, I had never set aside time for God. I didn’t set aside time for prayer and meditation or Bible reading. Now I fully understand the importance of having time alone with God. left me with a body that will not do has I ask it, and a brain injury. I need to plan my day better, with prayer and Bible reading first in the morning, rather than last at night, when I am tired. Prioritizing!!! I’m single…..I work, I help with my aging parents, I am the administrator at my church, I help with raising my two nieces, there are times when I barely have time to look at myself in the mirror…..however, I love God with all my heart and with all my soul. Although I talk with Him every morning on my drive to work, my desire to spend more time with Him through studying His Word and praying more is wiped out with exhaustion. Busy being busy!!! But they are my responsibilities and I’m called to do them. And I’m happy to do them. I just don’t want to miss out on my time with Him and His Word. I just let life get in way–when it’s just you, try to keep a roof over your head . . . The day to day mundane things. I find myself wanting to have more quite time and I get busy with the next thing that needs to be done although it could wait. I find myself too busy. Time. Besides working full time, I also care for my mom. By the time I can sit long enough, my body is ready to sleep. I have been enjoying everything you send out!! And for a newer Christian a lot of this has helped me to understand how to study and read the Bible. Thank You!! A fear of my prayers not being answered. It’s hard to give just one answer but, I would say fear, or my comfort. Only by God’s grace and mercy am I moving forward, one step at a time with confidence IN Christ. I would have to say that it would be myself. Trying to do things my way instead of waiting on God to take care of things. I hate to admit it but sometimes it is just plain laziness and having my priorities in the wrong place. My health has been up and down and this has been a real challenge for me this past year and a half. I am learning what it looks like to surrender and trust Him. My 14 year old daughter has been suffering from chronic migraines. It’s been a very difficult time. I’m still working on praying and giving all my worries to God. I know that I am not following Him as closely as I should because I have “things” that I am not ready to give up full control over yet! I know that I need to, but it holds me back. Disappointment and its companion discouragement are what always trip me up. Doubt…sometimes things are pretty rough, but then with prayer the good lord always brings us through. Afraid that I may disappoint him, because I am not doing things right or the way his word is preaching. At first it was that my family didn’t go to church every sunday. That is just how we grew up. As my husband and I had kids of our own we decided this was something we needed. We have done much better and this year my husband and I made goals to set more time aside for Him. We have a devotional that we read every night together and he bought me a new Bible at Christmas because mine was still a “kid version” and I wanted something new. By no means are we doing as much as we should and we definitely miss some days, but we are working on it and improving. I think i am so busy always trying to help and please others I don’t make time for myself. I go to bed at night with a list wake up in the morning with the list and then a phone call or a request comes and now i am side tracked to something else the day is over and i am exhausted. I need to put God first so my day goes better, but for some reason i get very side tracked. My mind is not getting the things done that need to be done no less in the right order. I have enjoyed your book and prayers, I have shared your prayers to help others be aware of what God can do for them and yet I can’t get myself to say no to other things and people and follow the one and only thing that truly make peace with me. Control & Patience! So often I find myself trying to “figure things out” on my own before giving it up to Him. 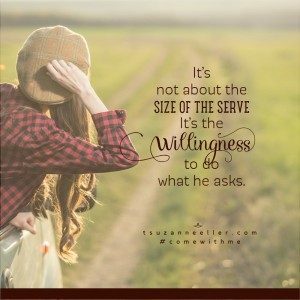 Then I pray about something ……..and I need an answer Now!, so just take over……and with His help I’m getting better at keeping my focus on Him…for He is so good. Unfortunately the wrong crowds and business relationships pulled me away for my center with Jesus. It was through new jobs and new relationships that re-opened the door to our Lord and Savior. He’s now part of my daily readings, writings, and prayers that make all the difference for me. Prayers are my talk time with God! The distractions of everyday life seem to get in the way more often than I’d like. I get distracted by all the stuff that has to get done. The kids have to eat. The house has to get cleaned. I have to take care of other things. Reading my Bible and praying get pushed aside. It’s sad to admit that. 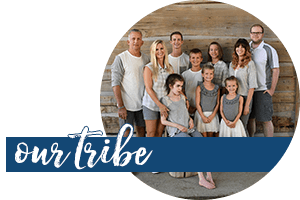 Just the busy life that includes a call to intercede and taking care of a child with a chronic illness sometimes raises a barrier. Also I try to do my best but as life’s storms stack up I do grieve and digress. In grace I’m able to get back to keeping my eyes on Jesus quicker than before reading “One Step Up!” It is not easy in my flesh. But He is made perfect in my weakness. Confusion … trying to reconcile a church doctrine with what I know in my heart is the truth through the revelation of scripture. Moving forward boldly in opposition to what the ‘church’ considers to be right, and risking the repercusions of man was a big battle for me several years ago. Simple not making God first as I should, and I’m changing that. Biggest obstacle is being reminded about my past. I am a survivor of sexual assault. I am responsible for not following Jesus. I try a lot of times, but then I am just not able to get into that schedule consistently. I wither away and fall through in between. But then, I hope I would be able to follow Jesus much more better in the future. This has caused upheaval in our family & strained relationships between us all. I need , we need God’s help. My biggest obstacle has to be myself because I have become slack in reading my bible and praying Luke I did. I moved on March 24th and still have boxes that hasn’t been unpacked yet, mostly winter clothing and books. I am just going to have to start reading my bible more and praying for guidance and understanding and asking God to imprint his word in my brain and heart. I don’t know… Time, I guess. Planning my days so that I can have more time with the Lord to study His Word and spend time in His Presence. After I do what I need to around the house, I’m so tired to do anything else. I feel so drained of my resources. Some days are good and some… Not so. Being able to TRUST God. I want to trust in him and feel like I am getting closer but it’s not a 100% yet. I have dreams where I am being told to trust him, just need to truly believe in his faithfulness. What held me back was trying to find my identity in my husband instead of God. And also not praying for my husband. Pain…I have had 3 failed back surgeries which now I left with constant chronic pain. Some days it’s unbearable and hard for me to even get out of bed. But then I have to get out of bed because of being in pain. My days are filled with always trying to function a normal daily life while I have to stop to sit a while, then times I have to lay down and of course times I need to walk some. It’s a constant battle. I pray about it…asking for relief from pain, strength, etc. I don’t know if I’m praying wrong or what but I feel he’s not hearing me. So I get discouraged. It also could be that I maybe haven’t totally released everything to God. I don’t know…I just need help with praying. Please help! My “Martha” tendencies being overwhelmed and consumed with the “stuff” of life (grief and loss, significant health issues, finances, “interruptions”, the disparity between my plans and God’s desires for me, etc.). Simply put, trading what’s best – abiding in and spending time with Jesus – for everything else. I think what got in the way of following our Lord in the most full way is being too consumed with my kids, my parents, my siblings and the comings and goings of life. It was in pain and loss and then facing my second cancer diagnosis that I really found God and most poignantly, Jesus Christ. Praise God! As I have been trying to get closer to God for a few years now and I decided to go back to church to fill the emptiness in my heart. I am looking for the peace I long for and desire but keep getting held back by just one person… In my heart I feel that chain so long next to him and it brings me down. I feel that his energy and bitterness clings on me and puts me in a bad place and that bitterness gets to me and doesn’t let me get near to God how I want. I feet like I am fighting a battle everyday. I know that God is next to me in my troubles and know in my heart that God will change this person energy and bitterness for the good of my family and relationship. My Biggest Obstacle is myself Being Diagnosed With Major Depression,BiPolar Disorder,and BorderLine Personality Disorder,and Anxiety.Well Where Do I even Begin – I’m Been a Prisoner of my Own self for too long – I am 48 years old and the Struggle with Mental Illness is Real – no matter “How Good it is Going , I Always find a way to Sabotage myself “. Believe me , when I say I never intend to hurt anyone with my feelings and emotions ever , but somehow , it Happens – I’ve been in Therapy and Medications since 1995 til just last Year 2015 that’s 20 years of my Life of my Adult Life – I’ve been a Single Mom to 5 Kids for the Last 12 years – My Mental Illness is a product of my environment- I grew up with 17 years of my Mom abusing me , to only find a husband who would abuse me for another 17 years more that was 34 years of mental , physical , emotional , abuse . God Has been there everyday, every step , protecting me and My Kids through it all , except from the byproduct of abuse which is all the Mental Illness that goes with All the abuse , I know God Loves Me -Through it All -All of my ugliness, all of my ups and downs , believe me when I say – there have been alot of those too . But God Knows Me -God Loves Me , God Sees Me and God Hears Me – Through it All , Thank You God for being You – and loving me for being me – Through it All – You have Always been There – That’s my biggest Obstacle is myself . Losing my home after traveling 3 hours a day to complete nursing school. My husband and I prayed without ceasing and we lost our home. I know that God hasn’t changed and he is faithful but I feel like a failure. To take my lead from your book, One More Step, I tend to put my hope in myself. I’ll be leaning on the Lord’s leading and then just slip back into leaning on my own understanding. Daily battle. I guess it’s the constraints of everyday life. My kids are grown but I still find it hard to sit and talk and then there’s what do I say and do I sound dumb. I know I just have to put time aside, sit and do. No more excuses. I have two obstacles: First one is not spending consistent time in prayer and reading His Word. Second, I also deal with guilt and shame because this have been going on for quite some time. I am now just trying to get back in to being consistent. I have migraines and recently they have been worse and coming 2 to 3x a week. I feel this is a major obstacle b/c I feel bad a lot and it’s hard to just live. I struggle with ADH/D and depression. My biggest problem is staying focused long enough to pray, read the bible, etc. I know in my heart that others have a much harder journey than I do, but it doesn’t make my burdens any lighter. only God can make my burdens lighter and some days it is very difficult to connect with Him. Letting life come first and all the obstacles. I find myself not leaning on Him and His Word as I should. Totally my own fault. Being the only believer in a family of unbelievers, the only fellowship I have with other Christians is online. I make sure that I read His Word daily, and am slowly learning how to pray. Worrying about the eternal resting place of my family members weighs heavily on me, but I am learning to lean into Him and ask Him to show me how I can help point my family to Jesus. This frightening roller coaster ride I’ve been on for the past few years with my husband. My faith has been made stronger but his erratic behavior can tear me away at times. It’s as if my husband is jealous of the time I spend with the Lord, very strange, yet it’s the only way I have been able to maintain any form of sanity in a world full of insanity. I will admit sometimes I do give up and give in. But, I am very uncomfortable…as if I’m out in open water on a boat without an oar. I know then it’s time to get back into His Word and prayer and then His peace, in the midst of all this turmoil, returns. Honestly, … what stops me more often than any other thing… is me. I have grown up in the church… I feel like I know what the bible says… but there have been a couple of things that have made it difficult to have a personal relationship with Jesus Christ. And I believe that it has everything to do with my lack of daily interactions with HIM. Obviously, not because He isn’t there… it’s b/c I don’t know where to start. How to make it personal. It’s sooo much in my head. Betrayal. Twenty years ago, our pastor was accused of behavior unbecoming to her calling. Elders of the church decided to begin proceedings to remove her. My husband was “promoted” within the church to assist with her removal. Of the group, my husband was the only one who did not turn on our pastor. He did not believe what amounted to mostly hearsay. A small, anonymous group had paid to have our pastor followed. The elders had a written copy of this person’s account. We questioned organized religion at that point; whether it was based in God or not. Unfortunately, God was pushed to the background in our struggle with organized religion. We have since welcomed God back into our home and realized that He has always been there for us and was waiting for us to open our eyes and ears to hear Him again. We will be forever grateful that God comes back for His lost sheep. God bless to all of you. Uncertainty and shame. An unexpected illness hit quickly; I have wondered how can God use me when I can barely take care of myself. I still pray, writing love letters to Him. But maybe it is all part of the plan. Because whatever I’m able to accomplish is only because of God. Raising a special needs child with multiple diagnosis’ leaves me feeling exhausted most of the time. I should be leaning on God and prayer much more than I do. We have had many struggles as a family. My middle son was a drug user and a church aided us but instead of him improving They humilated him and he tarting cutti g himself. Then my eldest son has a terrible bike accident which nearly cost him his life. I just am angry with God for allowing these ‘ hardships all the time. I eventually had a complete break down and thought maybe I need to go back to God. So am just back on this journey and am not sure where to start to heal my relationship with Him. Failing to set priorities is my biggest hindrance, I sometimes set myself on having a quiet time alone with God and later get caught up in other things and end up forgetting about the whole thing or remembering when I am already sleepy or busy. Fear that no one will listen to me. I feel God wants me to teach my student some spiritual truths and life lessons as well as the academic lessons, but I fear the students will just laugh and not care what I have to say.